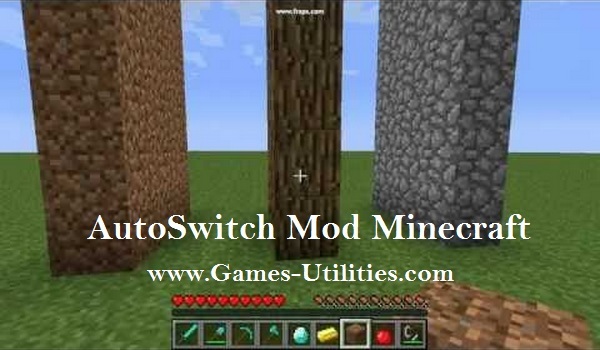 Minecraft AutoSwitch mod is an extremely effective yet handy tool for Minecrafters. This tool has a configuribility to choose exact tool when you start mining a block or it also chooses the correct weapon whenever you attact a mob or a player. After doing the action it will automatically switch back to the previous state. So check out more yourself by playing or using this mod. Description: An autoswithing mod for minecraft. Download the AutoSwitch Mod and drag and drop its files as well. DO NOT put AutoSwitch-vX-mcY.zip inside your mods folder, or AutoSwitch won’t switch back. Guys have fun with the enhance feature of autoswitching and keep coming here to check the latest updates of Autoswitch Mod for Minecraft.